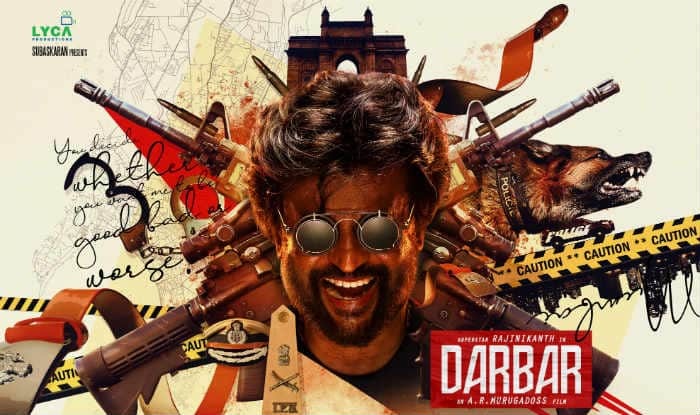 The much anticipated Rajinikanth’s 167th flick Darbar first poster is finally out and the film goes on the floor from April 9 in Mumbai. The film is Thalaivar’s first outing with A R Murgadose and it will bring back the on-screen couple Rajini and Nayanthara after 11 years. The poster of the film drops enough hints such as weapons, handcuffs, IPS insignia, the police cap and belt, and also a police hound, set in the background of the Gateway of India. In the poster, Rajini can be seen sporting a menacing smile and salt-and-pepper look. The striking punch line on the poster, “You decide whether you want me to be good bad or worse” has made many fans excited already. His fans are looking forward to the film and some Twitterati has fallen in love with Rajini’s sunglasses on the poster. CAN’T WAIT THE MOST AWAITED COMBO OF THE DECADE !! #Darbar Mass first look @ARMurugadoss sir. Waiting for huge one..@rajinikanth superstar for the reason. The film is expected to have the superstar in dual roles – a cop and a social activist. The film is slated to release during Pongal 2020.